Since 2008, Hikashu has been holding a special concert in December at Unit, a live venue of Daikanyama, Tokyo. This year it marks its 10th anniversary, and the band prepares the special program for the event. 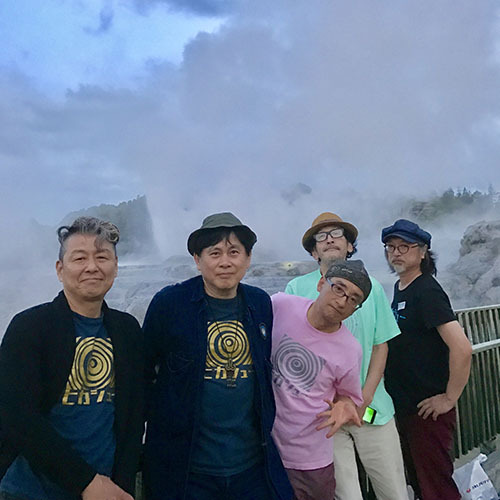 This year's theme is film music, and Hikashu will play a series of famous compositions with various guests, plus the selections of their latest album, Anguri. It's going to be a memorable evening. Inoyama Land is an ambient music duo consisted of Yamashita Yasushi and Inoue Makoto, both are the founding members of Hikashu. Actually their partnership predates the band, started in 1977, and they have been together since then. 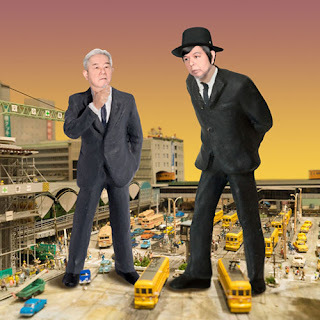 No Lie-Sense is a duo of Suzuki Keiichi and Kera, both are the iconic figures of Japanese new wave movement. The unit started in 2013 and released two albums to date. It was named because they happened to have no driver's license. Marianne Shinonome is a vocalist and keyboard player, currently leads her own band called Kinoco Hotel. She collaborated with Hikashu at many occasions, most recently she joined a Tokyo concert of Godzilla Legend in last September. 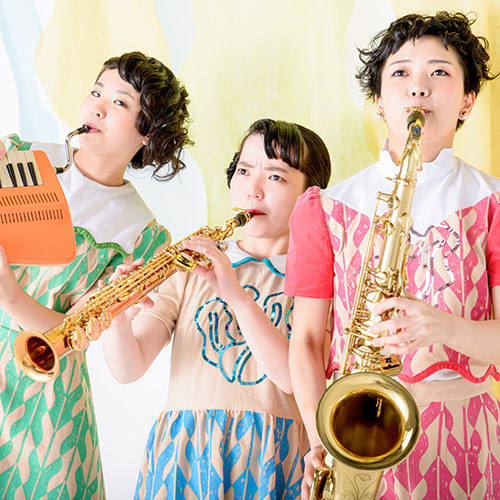 Kaiso Shimai, "the Seaweed Sisters," is a group of three instrumentalists. Although quite young, all the members has been classically trained at conservatoire, and known for its technical proficiency at arrangement and performance. It's just announced that a live album of Hikashu's christmas concert last year will be released through online distribution. 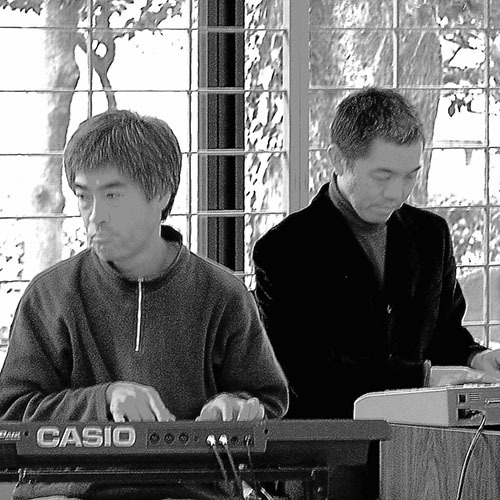 The sold-out gig had many guests including Hirasawa Susumu on vocals and guitar. He sung some Hikashu numbers and Makigami did the same with Hirasawa's songs. The audience went wild and there is a huge demand for the recording. Now it looks like the demand be fulfilled. Currently the details for the release, like the date and the method (download or stream), are still unknown. 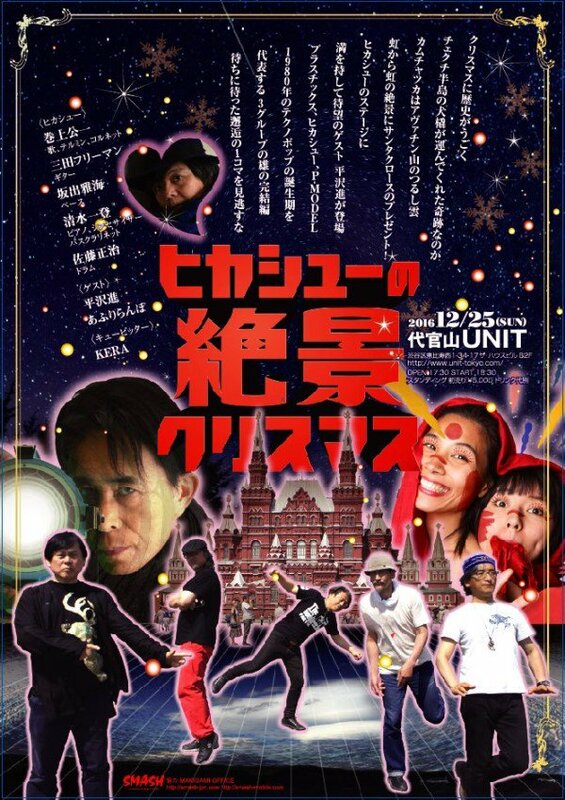 What is certain is that it contains Hikashu/Hirasawa's collaboration and it was recorded in extreme high resolution, hence no physical release - simply it couldn't fit into disc. In fact, the concert was documented with sixteen Korg MR-2000S recorders. So it's quite an audiophile recording. And the album is tentatively called "Zekkei," which means "magnificent scenery." We'll let you know when the details go public.